Congratulations to tour winner Cara S. and to host winner Sapphyria's Books. 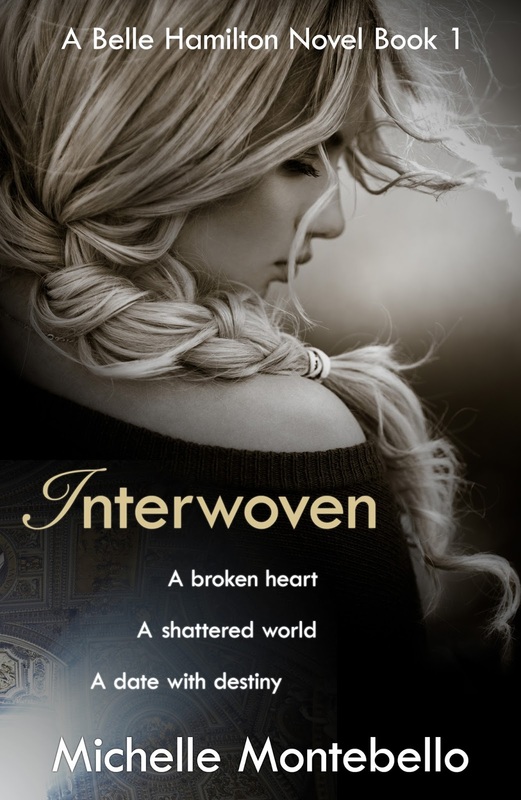 Goddess Fish Promotions is organizing a Virtual Excerpt Tour for Interwoven by Michelle Montebello, a Contemporary Romance available now. The tour will run January 22, 2018 to February 16, 2018, and this tour will not include interviews or guest blogs; however, a blurb, exclusive excerpt and author bio will be provided to every host for inclusion on their blog. If you want to review this story please see the Reviews Only tour, Here. Michelle will be awarding a $25 Amazon or B/N GC to a randomly drawn winner via rafflecopter during the tour, and a $20 Amazon or B/N GC to a randomly drawn host. February 15: Archaeolibrarian - I Dig Good Books!